Yesterday, I was turning all the lamps on in my house at 4:30pm because it was getting dark-ish and I noticed that my living room throw pillows give the room a bright, summery feel. Somehow, the cool weather and early twilight seemed to clash with my fab yellow zebra print and navy ikat throw pillows. I've never lived anywhere where I really needed to swap out my home decor for the seasons. Sure, for Christmas I'll pull out some red throw blankets and an extra red sham or two for our bed, but here in Maine, the cold seems to call for a cozier look for our home. 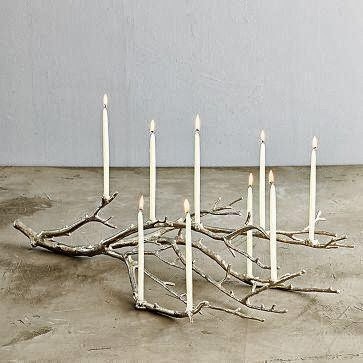 I would love this Manzanita Candelabra (or two!) 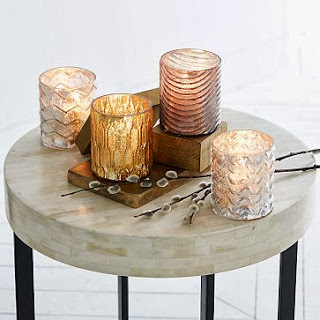 for my dining room table. I'm dying for this throw in Red....I think I'll switch out my yellow and navy throw pillows on my sofa with read and cream for the colder months. 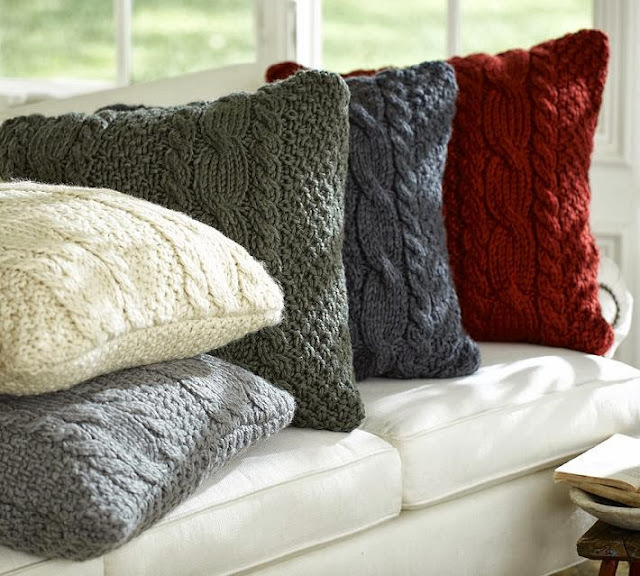 Mix those red pillows with a few of these knit sweater pillows in ivory and I think we have a new room! 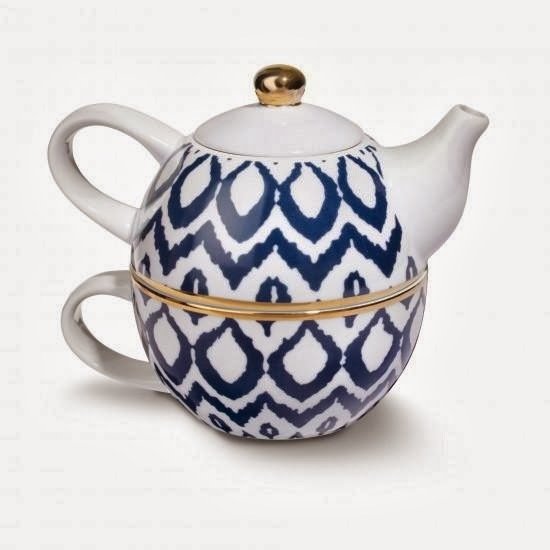 Ok, what fun would it be to look for things for the living room and not stumble across a little something to warm me up, too?! Today I'm tackling a peanut butter pie recipe to take a dinner party....wish me luck! P.S. Thanks for all the closet love yesterday! Ya'll are more than welcome to come hang out in there any time! I have had my eye on that PB fair aisle throw too!! It was on sale last week and I dropped the ball on getting it. It would look so cute with those pillows!! I'm loving that candelabra too.. totally adds a cozy feel! Love all of these! I have the cable knit pillow in red and as soon as August is over out she comes! That candelabra is awesome! Perfect Fall addition that you could use up until March/April! I love all of this Fall coziness!! I would love to be able to change my decor out with the seasons! 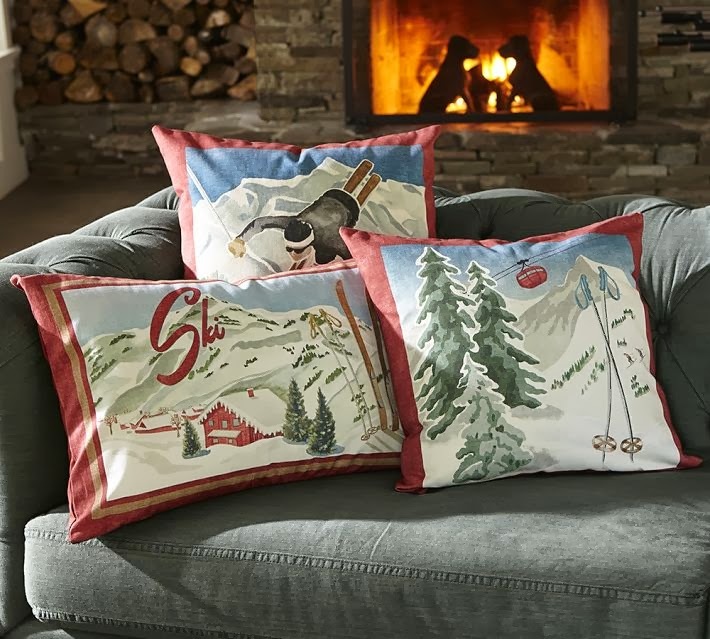 I'm loving the ski pillows. SO cute! Hi Stephanie! Newest follower here :) Happy I found your blog. P.S. very cute layout. I'm shopping around for a custom one myself haha. Hope you'll stop by my blog and follow along as well. 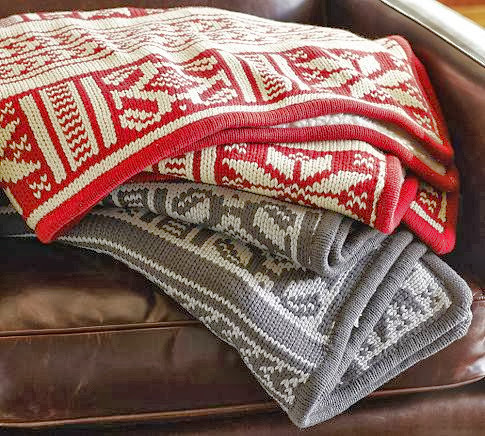 LOVE those knit sweater pillows! But do they have to be so dang expensive?? Shoot that candelabra is awesome!